When launched in autumn 2012, the Green Deal will enable households and businesses to improve the energy efficiency of their properties, without incurring up-front costs. 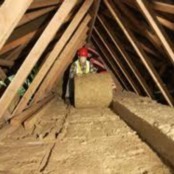 While still in the process of drawing up detailed guidance for the scheme, the Department of Energy and Climate Change has made clear that they see local government playing an important role in the Green Deal, whether as providers or in promoting uptake amongst households and businesses. At Local Energy we are beginning to look further into the potential role that local government can play in the Green Deal, and how this might work in practice. We are keen to hear from local government organisations about what considerations and preparations are already being carried out, as we now gear up to the launch of the Green Deal. Have any authorities already been working on how you might position yourselves as providers, and what role you see for your organisation with the Green Deal? Will you employ your own Green Deal assessors? Where will the finance come from? Closely attached to these questions is also the issue of what conditions you feel will need to be in place before you can begin to take advantage of the Green Deal. Does the Green Deal represent an attractive offer as it currently stands, or will interest rates be prohibitively high? Do you expect the take-up rate to be poor, as indicated by recent studies, or is the ‘Golden Rule’ persuasive? You can find more information on the Green Deal on DECC’s website, including the current timetable, and the development of detailed industry guidance now taking place.